When you register an account to become a Peeriosity member ("Member"), such as your name, e-mail, country, location, occupation and a password. We automatically receive from your internet use such information as your IP address, the URLs of sites from which you arrive or leave the Peeriosity website, your type of browser and your ISP. To send you service or promotional communications through email and notices on the Peeriosity website. We provide you with the means to control whether or not your contact information is shared with another Member. Enable you to share your information and communicate with other Members, or provide (usually at your option) your personal details to third parties offering combined services with Peeriosity. Control the messages you receive from Peeriosity and other Members and how these messages are sent. Tell us to close your Peeriosity account. We do not share your contact information with another Member without your consent. We reserve the right to modify this privacy statement at any time, so please review it frequently. If we make material changes to this policy, we will notify you here, by email, or by means of a notice on our home page. By continuing to use the Peeriosity service after notice of changes have been sent to you or published on the Peeriosity website, you are consenting to the changes. What personally identifiable information of yours is collected by Peeriosity. In order to become a Member, you must first create an account on our website. To create an account you are required to provide the following contact information, which you recognize and expressly acknowledge is personal information allowing others, including Peeriosity, to identify you: name, email address, country, ZIP/postal code, company name, job title, and a password chosen by you. Once you become a Member, you may provide additional information in the Profile section describing your skills, professional experiences, and interests. Providing additional information beyond what is required at registration to become a Member is entirely optional, but enables you to better identify yourself and find new opportunities in the Peeriosity system to build and leverage your professional network. Any information you provide at registration or in the Profile section that is not personally identifiable may be used in the same manner and extent to which other information that is not personally identifiable is permitted to be used hereunder. Peeriosity may collect information through the Peeriosity website in order to, among other things, accurately categorize and respond to a customer's inquiry and deliver appropriate service levels. Due to the communications standards on the Internet, when you visit the Peeriosity web site we automatically receive the URL of the site from which you came and the site to which you are going when you leave Peeriosity. We also receive the Internet protocol (IP) address of your computer (or the proxy server you use to access the World Wide Web), your computer operating system and type of web browser you are using, email patterns, as well as the name of your ISP. This information is used to analyze overall trends to help us improve the Peeriosity service. The linkage between your IP address and your personally identifiable information is not shared with third-parties without your permission or except when required by law. 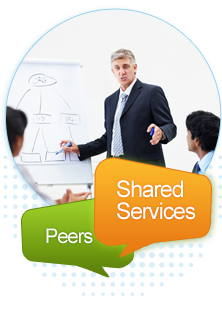 Peeriosity is an online service dedicated to helping our members collaborate with one another. The personally identifiable information you choose to provide on our website is used to help you describe yourself to other Members. Other information, that does not personally identify you as an individual, is collected by Peeriosity from Members (such as, for example, patterns of utilization) and is exclusively owned by Peeriosity. This information can be utilized by Peeriosity in such manner as Peeriosity, in its sole discretion, deems appropriate. Peeriosity will communicate with you through email and notices posted on the Peeriosity website or through other means available through the service, including text and other forms of messaging. If we send any communications to you via the carrier service with which you have a mobile communications subscription or otherwise have access, you understand you will pay any service fees associated with any such access (including text messaging charges for messages to your mobile device). These include a series of welcome emails which help inform new Members about various features of the service. Please be aware that you will always receive certain emails from Peeriosity related to the proper functioning of your account, such as email notices when another Member in your peer group wishes to form a connection with you. You can change your e-mail and contact preferences at any time by logging into your "Account & Settings" and amending your email notification choices. If you wish, you can also opt-out of receiving promotional emails, by sending a request to support@Peeriosity.com. Information provided to Peeriosity is also used to customize your experience on our website. For example, when you login to your account we will display the screen names of new Members who have recently joined your network as suggested connections for other Members. Peeriosity takes the privacy of Members very seriously. We do not sell, rent, or otherwise provide your personally identifiable information to third parties for marketing purposes. We will only share your personally identifiable information with third parties to carry out your instructions or to provide specific services or information. For instance, we use a credit card processing company to bill Members for subscription fees. These third parties do not retain, share, or store any personally identifiable information except to provide these services and they are bound by confidentiality agreements which limit their use of such information. As a Member, you will receive requests to participate in market research including polls and surveys submitted by other Peeriosity members. If you participate in surveys and polls offered through our website, the information you provide may be visible to others using the Peeriosity website. You may opt-out of participating by changing your Account & Settings to stop receiving these inquiries and requests. It is possible that we may need to disclose personal information when required by law, such as responses to civil or criminal subpoenas, or other requests by law enforcement personnel. We will disclose such information wherein we have a good-faith belief that it is necessary to comply with a court order, ongoing judicial proceeding, subpoena, or other legal process or request to Peeriosity brought in any country throughout the world, or to exercise our legal rights or defend against legal claims. We may also disclose your personal and other information you provide, to another third party as part of a reorganization or a sale of the assets of a Peeriosity corporation division or company. Any third party to which we transfer or sell Peeriosity's assets will have the right to continue to use the personal and other information that you provide to us. Accessing and Changing Your Account Information You can review the personal information you provided us and make any desired changes to the information you publish, or to the settings for your Peeriosity account including your email, and contact preferences, at any time by logging in to your account on the Peeriosity website. Please be aware that even after your request for a change is processed, Peeriosity may, for a time, retain residual information about you in its backup and/or archival copies of its database. You can also close your account through the Peeriosity website. If you close your Peeriosity account, we will remove your name and other personally identifiable information from our publicly viewable database. We may retain certain data contributed by you if we believe it may be necessary to prevent fraud or future abuse, or for legitimate business purposes, such as analysis of aggregated, non-personally identifiable data, account recovery, or if required by law. To request that we close your account and remove your information from the Peeriosity website, please send your request to support@Peeriosity.com. Please send your request using an email account that you have registered with Peeriosity under your name. You will receive a response to requests sent to support@Peeriosity.com within five business days of its receipt. You must not download or otherwise disseminate any information which may be deemed to be injurious, violent, offensive, racist or xenophobic or which may otherwise violate the purpose and spirit of Peeriosity and its community of Members. You must not provide information to Peeriosity and /or other Members which you believe might be injurious or detrimental to your person, professional or social status. Peeriosity has also self-certified its privacy practices as consistent with U.S.-E.U. Safe Harbor principles: Notice, Choice, Onward Transfer, Access and Accuracy, Security, Data Integrity and Enforcement. More information about the U.S. Department of Commerce Safe Harbor Program can be found at http://www.export.gov/safeharbor/. Any violation of these guidelines may lead to the restriction, suspension or termination of your account by Peeriosity, as we take these principles seriously and consider them to be the basis on which our Members adhere to the Peeriosity website and the services which it offers. If you use the Peeriosity service after notice of changes have been sent to you or published on our site, you hereby provide your consent to the changed practices. In order to secure your personal information, access to your data on Peeriosity is password-protected, and sensitive data (such as credit card information) is protected by SSL encryption when it is exchanged between your web browser and the Peeriosity web site. To protect any data you store on our servers we also regularly audit our system for possible vulnerabilities and attacks and we use a tier-one secured-access data center. It is your responsibility to protect the security of your login information. Please note that emails and instant messaging and similar means of communication with other members of Peeriosity are not encrypted and we strongly request you not to communicate any confidential information through these means.